Thanks to a new method of analyzing ultrasound images, conventional scanners can be used for generating high-res images of blood vessels in tumors. This approach makes it easier to distinguish between different types of tumors, and it facilitates the tracking of the progress and success of chemotherapy. AXT are proud to announce that they have recently been appointed the exclusive Australian and New Zealand distributor for Oxford Nanoimaging (ONI). ONI is a UK-based company that has commercialised the “Nanoimager” a revolutionary super-resolution fluorescence microscope capable of single molecule imaging. Today, ZEISS introduces a new inverted microscope platform for life science research. The ZEISS Axio Observer family consists of three stable and modular microscope stands for flexible and efficient imaging. Scientists benefit from reproducible results from their experiments and high quality image data from a whole range of samples in a variety of conditions. ZEISS Axio Observer combines the proven quality of ZEISS optics with new automation features, allowing researchers to perform demanding multimodal imaging of living and fixed specimens. In this interview, News Medical speaks to Dr. Manasa Gudheti of Bruker Nano Surfaces about biological specimens and how to acquire super-resolution images of them. Malformed desmin proteins aggregate with intact proteins of the same kind, thereby triggering skeletal and cardiac muscle diseases, the desminopathies. This was discovered by researchers from the RUB Heart and Diabetes Center NRW in Bad Oeynhausen led by PD Dr. Hendrik Milting in an interdisciplinary research project with colleagues from the universities in Karlsruhe, Würzburg and Bielefeld. They report in the Journal of Biological Chemistry. 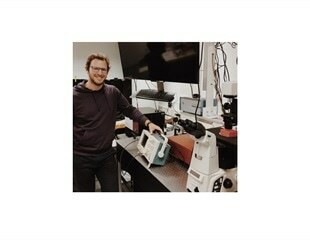 A new microscope invented by scientists at Howard Hughes Medical Institute's Janelia Farm Research Campus will let researchers use an exquisitely thin sheet of light -- similar to that used in supermarket bar-code scanners -- to peer inside single living cells, revealing the three-dimensional shapes of cellular landmarks in unprecedented detail. The Waitt Advanced Biophotonics Center at the Salk Institute for Biological Studies officially opened on February 9, 2011 after quietly hiring two faculty members specializing in biophotonics -- the science of using and manipulating light to investigate biological function -- and building up its core facility's imaging capacity to rival most if not all academic research institutions of its size in the nation.